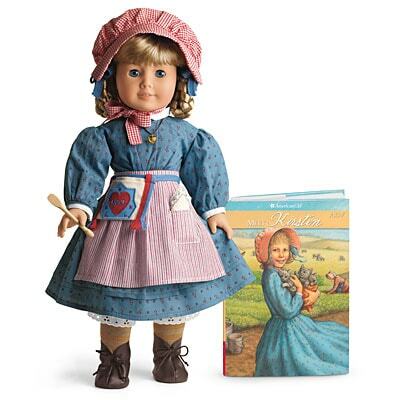 If Kirsten Larson was your favorite American Girl doll, you probably loved her for her long braided hair and adorable prairie girl outfits. Fans of the books will remember her stories of pioneer life in the 1800s. Being from Sweden, she was one of the few American Girls originally born in another country. Being in an unfamiliar place was scary, but Kirsten was strong and, through her many struggles, learned the true meaning of family. Kirsten’s prairie-chic look is actually very easy to recreate with modern-day trends. Below, I’ve created a few outfits inspired by Kirsten and her stories. Scroll down to view them all! Kirsten comes in a cute little prairie dress ready for adventure. 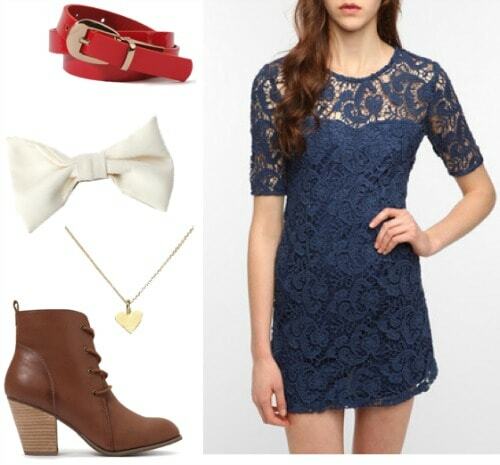 Recreate the look with a trendy twist on a lace dress with a colored skinny belt and lace-up ankle booties. Wear a cute heart charm necklace and a cream hair bow to complete the look! Kirsten looked super cute in her festive winter outfit! 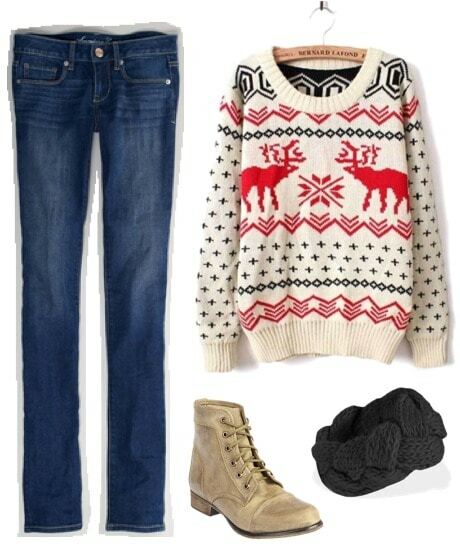 Dress in a cute graphic sweater and a pair of skinnies, and grab a pair of ankle booties similar to hers. Wear a braided knit head wrap for a fun, wintry accessory. Look pretty in blush pink like Kirsten did in her birthday outfit with a blush colored dress and a pair of oxfords. Accent with a layered pearl necklace and flower crown, just like she wore! Was Kirsten your favorite? Would you wear any of the looks above? Which one is your favorite? What doll would you like to see next? Let me know in the comments!